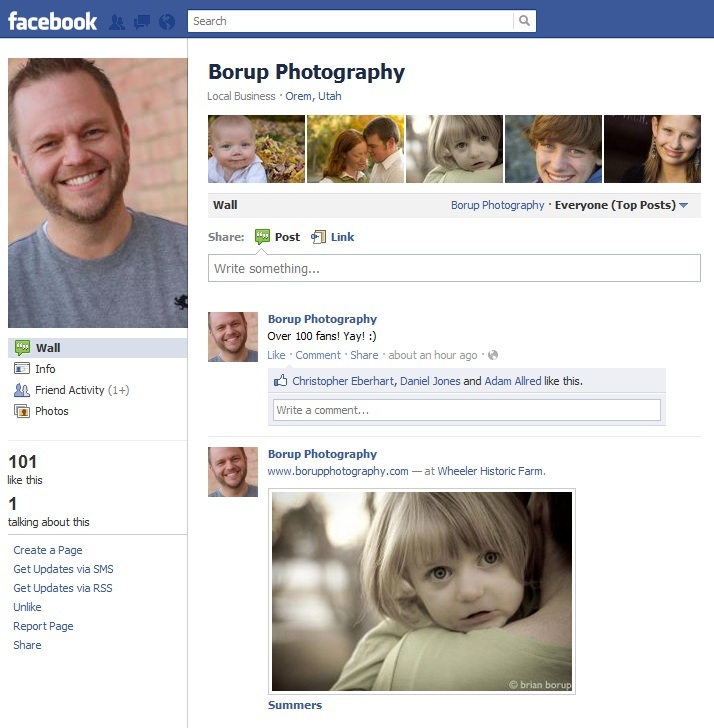 Borup Photography has reached over 100 Facebook fans! Last November I decided to try promoting my business a bit through Facebook so I created a page. Through out the year I have added photo albums as I've had new photo shoots. Now I regularly get inquiries for my services from people that I do not know. Oh the power of social media.